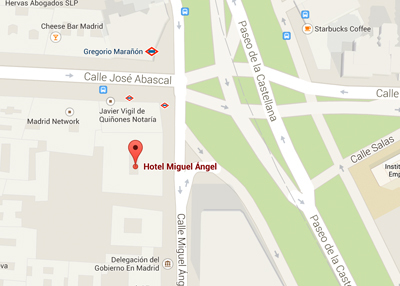 The Lean Kanban Southern Europe will take place at Hotel Miguel Angel. It is located in the Salamanca district of Madrid – one of the most elegant residential and business areas in the city. With magnificent views of the famous Castellana street. 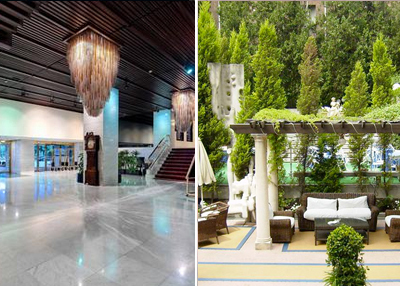 The Hotel Miguel Angel is to be found within only a short distance of the famous Prado, Thyssen-Bornemisza, and Reina Sofia museums, the emblematic Bernabeu football stadium – home to Real Madrid, and the IFEMA Convention centre. As well as this, the hotel is only a short 10 minute car ride from the historic centre, and from Barajas International airport. The Lean Kanban Southern Europe event is located with good communications from the airport, you have different Public Transportation Options. See here below which alternative works best for you. A drink reception will take place after the conference at the same venue on Tuesday, April 21, between 18:00 and 19:30.